Download our line up for the entire winter right here. Click on the event header and you will find the link at the bottom of the page. This document will be updated weekly as new acts are added to the line up - last revised on March 31, 2019. The non-skiing public is always welcome to enjoy our free live music sessions in the lodge at Woods Valley. We never charge a cover while the ski area is open. Come on up and enjoy the lodge, the live music and check out our new bar menu. Full bar and food service is always available. We hope to see you on the slopes this weekend. Season Passes for next year are on sale. If you are not yet a member of the season pass family at Woods Valley - this is the time to purchase. Your Unlimited Pass for next year will include this final day of this season and all of next year. Today (Sunday, April 7) is our final day of the season. See attached application. Your passes must be purchased in person at Woods Valley by April 7th. 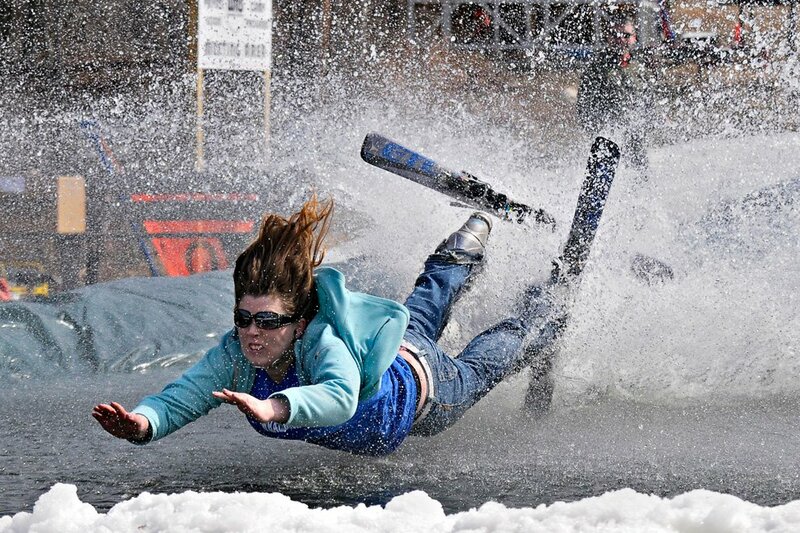 Pond Skimming will be take place Sunday, April 7th between 1:00 and 2:30pm. Registration will be between 10am and 12:30pm in the main ticket lobby. The pond is ready and is 100 feet long. Please download our event release below - this will be required to participate. 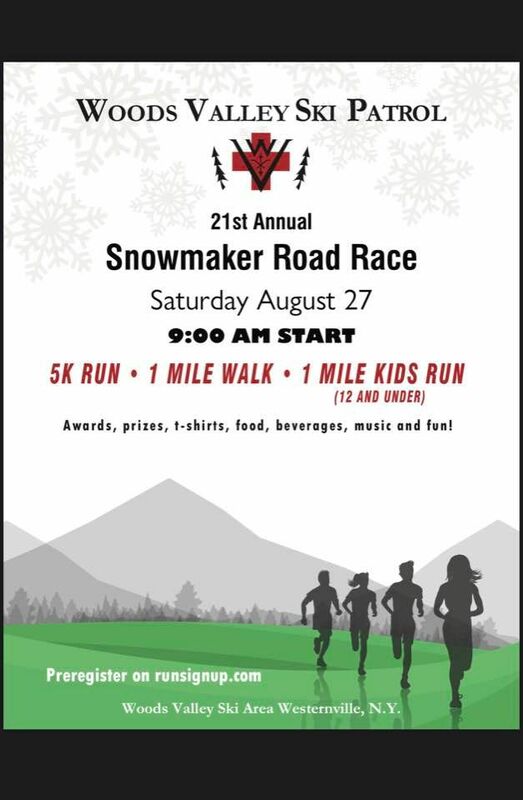 The event cost $10 and all proceeds go to our volunteer ski patrol. Woods Valley wrapped up the 2018-19 ski season in fine fashion on Sunday, April 7th. Thank you to all of our wonderful guests and employees for making this season one of our best in recent memory. Plans to improve the experience at WV are already underway. Stay tuned and have a great summer.